Kill the Ivy. Kill it All. World got you down? Feel helpless, like you don't know how to make a difference? Do I have a mission for you. 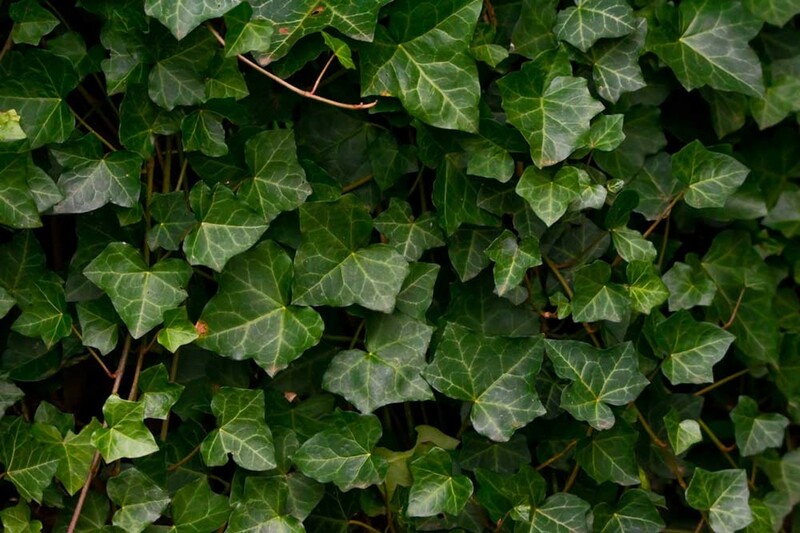 You can save the world from ivy, starting with your own yard or nearby patch of woods. Get outdoors, commune with nature, kill ivy. Feel the purpose pumping through your veins. No expensive equipment required. You may have noticed that each year there's more of the stuff — those glossy, lobed, green leaves on a vine climbing up trees, swarming over the ground and suffocating everything in its path. But perhaps the significance hasn't quite sunk in yet. A back part of your brain may be thinking, "Well, it looks like it's taking over the world but surely not ..."
For a long time, I didn't really notice. I liked walking in the woods — the restful quiet, the lush welter of green in between big trees — but I didn't know what I was looking at. 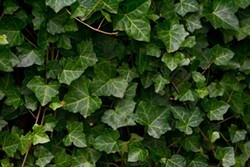 I used to see ivy devouring everything and think, "Aw, isn't that nice and green." My awareness and pleasure in the outdoors deepened when I moved to Westhaven 12 years ago and friends began pointing out and naming all the different plants. I'm going to sidestep the whole debate about "native" vs "invasive" plants. Let's just admit that ivy is not the only imported plant around here that doesn't know how to coexist with other species. It's a little sad to witness the variety of an evolved ecosystem simplifying so drastically. But that is the way it's going. I'm working on reaching a truce with this rapidly changing world. But no amnesty for ivy! Ivy is the worst of the worst. Being shade tolerant, it has the ability to spread through the forest but in order to make berries, it needs sunshine. So it climbs trees to get up to where the sun is. The result is an enshrouded forest. A sea of ivy with nothing but ivy-saddled trees poking out of it. Where have all the flowers gone? But even the trees aren't safe. The humid density of ivy makes them more susceptible to disease and branch dieback, and more prone to toppling during high winds. Maybe you don't have much time to spare, so you could just whip out the old clippers and sever the vines snaking up the trunks. Ivy hates it when you do that. A few minutes of your time but years of its growth down the tubes. Now it can't make berries for the birds to spread. You don't have to pull the vines out of the tree. In fact, some people say pulling them out can damage the bark. If you're all invigorated after clipping those vines, you might pull the roots out in a 2-foot circumference around the tree. Hear the ivy wail. OK, I may have just confirmed your worst suspicions about me but I hope I've inspired you. If you get really inspired, keep pulling. You might find some little blanched orchids under there, just waiting and hoping against hope for some daylight. I won't lie — reclaiming seriously overrun areas is hard work at first. But it gets easier. Nowadays, I keep our property ivy-free with just one hour of work each year. I can't end before putting in a word for our state parks. Ivy has invaded Trinidad State Park and Patrick's Point in particular. A group of resisters goes out every Friday morning for two hours to beat it back. (So that's what those people are doing out in the bushes!) If you're interested in joining the No Ivy League, please email kimkat067@gmail.com to get more information. No dues — just a slightly warped idea of fun. Martha Walden has been walking around these woods for many years.